Kerb Weight: 134 Kg (Kick start version) and 138 Kg (Self start version). Achiever Price: Ex-showroom 55925, On Road 61657 Rs. Mentioned Price are only approx price and subject to change without prior notice as per company policy or applicable tax change. 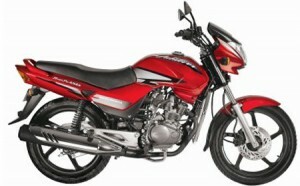 For exact price of Achiever contact nearest authorized Hero Honda dealer.